Welcome to Bear Creek Golf Course! We are excited to have you come and play our “Champion” greens. They present one of the finest putting surfaces known to golf. Please browse our website for more information about Bear Creek, and don’t forget to book your Tee Time Online HERE or by clicking the link above! 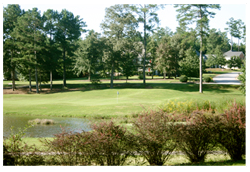 Located in the heart of Walton County, Bear Creek Golf Course blends an ideal mix of challenging design and beautiful scenery for a relaxing retreat from the hustle and bustle of nearby Atlanta. Take a stroll through the lush landscaping. Chat with the knowledgeable staff. Enjoy an afternoon in peace and tranquility. Please, browse the website for more information on the newly renovated course and club amenities, and don’t forget to book your tee time online by clicking the link above. For a memorable golf experience you will enjoy time and time again, visit Bear Creek Golf Course! “Come Tame The Bear”!